America’s civil rights movements have all had their Martin Luther Kings, their César Chávezes and their Gloria Steinems. But to whom can Chinese Americans point? 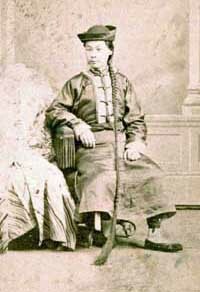 More than 70 years before Dr. King dreamed of an America that judged people according to the “content of their character,” Wong Chin Foo (王清福, 1847-1898) defied those who wished to exclude Chinese by declaring that only “character and fitness should be the requirement of all who are desirous of becoming citizens of the American Republic.” His story, told for the first time in a book-length biography, is a forgotten chapter in the struggle for equal rights for all in America. 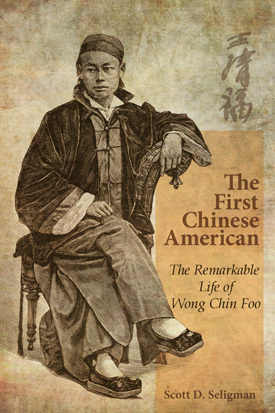 Wong Chin Foo was the first to employ the term “Chinese American,” and the first to define it. He founded America's first association of Chinese voters and fought for citizenship rights for his countrymen in the United States. 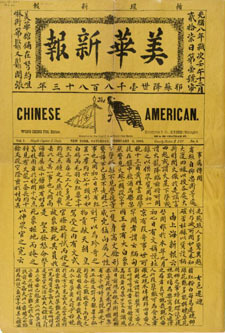 Through lectures and articles, Wong took on critics of America's Chinese and demystified Chinatown lives. He founded New York’s first Chinese newspaper in 1883. He famously bested the standard bearer of the “Chinese Must Go” movement in a public debate. And he testified before Congress - probably the first Chinese ever to do so - in support of citizenship rights. A firebrand and a trailblazer, Wong believed deeply in justice, equality and enfranchisement, and repeatedly challenged Americans to live up to the values they so freely espoused on one hand, and so utterly failed to apply to the Chinese on the other. America's Chinese had a leader and a fighter in Wong Chin Foo, whose story stands as shining repudiation of the popular impression that 19th century Chinese bore everything the American establishment dished out quietly, passively and without much protest. Wong charted the path to an entirely new identity - that of the Chinese American. Millions would follow him.